When it comes to looking for the ultimate choice in family transportation in the luxury category, perhaps no other automaker does it better than INFINITI in the form of the QX80. This large sport utility vehicle offers incredible space along with an amazing number of premium amenities and features. For 2019, INFINITI has added even more luxury to the QX80 lineup. That comes in the form of an all-new Limited trim. This trim features upscale offerings like semi-aniline leather and Alcantara appointed seats with quilting. That, however, is just one of the trims available in the 2019 QX80 model lineup. You can also choose the Luxe trim. Rest assured that no matter what trim you go with in the 2019 QX80 lineup, you’re getting an incredible luxury value. Due to the fact that INFINITI loads up their vehicles with tons of standard features in the luxury category, there’s no need to offer a boatload of trim levels. That means whenever you purchase or lease a 2019 QX80, you are going to get all the amenities and benefits you could ever want. As for one of the best places to get this large sport utility vehicle? That’s an easy one. 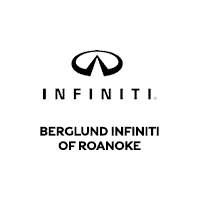 Just stop by Berglund INFINITI of Roanoke today for an incredible luxury shopping experience. We have an amazing selection of new INFINITI models including the QX80 for shoppers in the Roanoke, Lynchburg, and Blacksburg, VA, areas to choose from. Our product specialists will sit down with you and find out exactly what your needs are and then recommend a model or models that they feel will suit you best. If you are in the market for a pre-owned vehicle, then our dealership is ready to help you with that, as well. We carry an excellent inventory of pre-owned vehicles from practically every luxury manufacturer on the planet. We’re also one of your best sources for Certified Pre-Owned INFINITI models in the area, as well. No matter what kind of luxury vehicle you are in the market for, we can satisfy all your needs at Berglund INFINITI of Roanoke. We invite you to explore all our products and services online and then come visit us at our dealership located at 5000 Franklin Road Roanoke, VA 24014. Think of each and every feature that you could ever want with a large luxury sport utility vehicle and the 2019 INFINITI QX80 has it. Not only that, it’s uber-spacious, offering enough capacity to comfortably seat up to seven people. In addition, when you opt for the new Limited 4WD trim in the 2019 QX80 lineup, you’ll enjoy “Two-tone semi-aniline leather with Alcantara® appointed seating with quilting, contrast piping and stitching, matte silver, and open pore Ash wood trim,” according to the manufacturer’s website. There is also a ton of safety technology including Blind Spot Intervention System, Blind Spot Warning System, Distance Control Assist, and Intelligent Cruise Control. When you opt for the new Limited trim in the lineup, you’ll get incredible exterior enhancements like dark 22-inch wheels, stainless steel running boards with rubber grips, branded welcome lighting, satin chrome trim, and custom badging. The 2019 INFINITI QX80 is powered on both trims by a 5.6L V8 engine that is capable of generating 400 horsepower and 413 lb-ft torque. The SUV is also available in four-wheel drive configuration. Why Pick Berglund INFINITI of Roanoke? Whether it’s a new INFINITI model or a quality pre-owned vehicle, you can always count on great selection and incredible values when you shop at Berglund INFINITI of Roanoke.